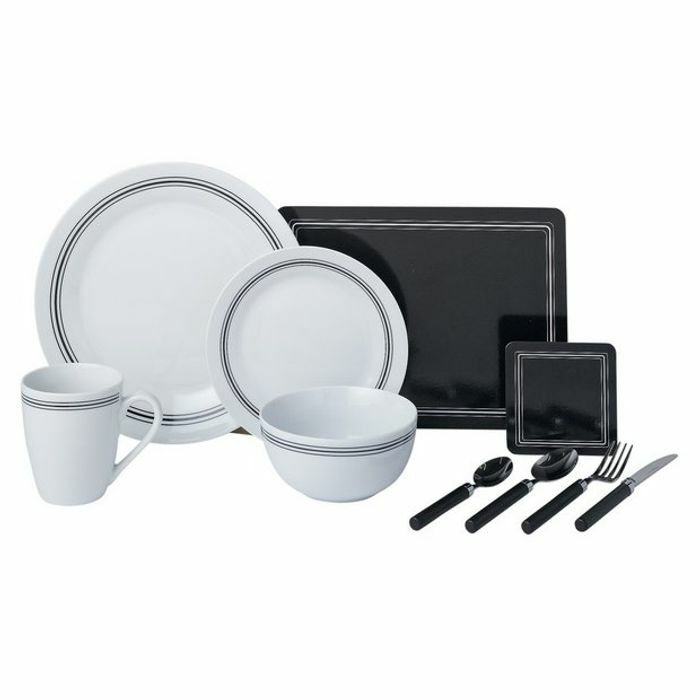 6 dinner plates, 6 side plates, 6 bowls and 6 mugs. 6 knives, 6 forks, 6 spoons and 6 tea spoons. 6 placemats and 6 coasters.